Willie Mae "Billie" Cunningham, 75, of Sherwood, passed away Monday, June 11, 2018. She was born November 18, 1942 in Houston, Texas to William and Carmen Martin. 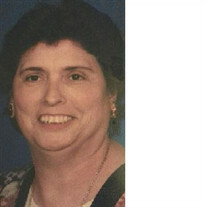 She was a member of the Sherwood Optimist Club and a PTA member from many local schools. She spent several years as a substitute teacher with the Pulaski County School District. Billie also worked in the Audit Department with the State of Arkansas. Billie is preceded in death by her parents and husband of 53 years, Ronald E. Cunningham. A graveside service will be held at Arkansas State Veterans Cemetery at 1pm on Thursday, June 21, 2018. 1501 W. Maryland Ave., North Little Rock, 72120. To sign online register, please visit www.smithsherwoodfuneralhome.com.